“Birmingham’s housing market has been on a hot streak in 2016,” reported the Birmingham Business Journal earlier this month. And Alabama Center for Real Estate graph shows just how dramatically the market has picked up, with home sales staying relatively flat after 2011 until a big jump in the past year. But there’s more to the marketplace than macro growth patterns, and today we’re looking at Birmingham development trends that affect the market. Birmingham has made headlines–in a good way–over the last several years. From Avondale’s anointing as the state’s Brooklyn in 2015 to Birmingham’s spot on the Travel Channel’s list of “The Next Great Destinations” for 2016. Just recently, we earned the number 14 spot on Zagat’s list of “The 26 Hottest Food Cities of 2016.” In fact, the piece named Lakeview’s Ovenbird “one of the biggest openings in all of the South.” And of the eight restaurants name-checked in the piece, all but one–Real & Rosemary–was within Birmingham proper. Like us, the Zagat folks love El Barrio, Fancy’s on Fifth, and Saigon Noodle House. One of our biggest achievements as a revitalizing city is the adaptive reuse of historic spaces. In cases like Railroad Park and this year’s addition of Rotary Trail, we’ve successfully turned a forgotten landscape into an enchanting urban greenspace. In those of the Redmont Hotel or the nearly-finished Pizitz Building and Thomas Jefferson Tower, we’ve taken a storied past and reinterpreted it for a modern city. This phenomenon isn’t new to 2016, but the year has boasted some high-profile progress. 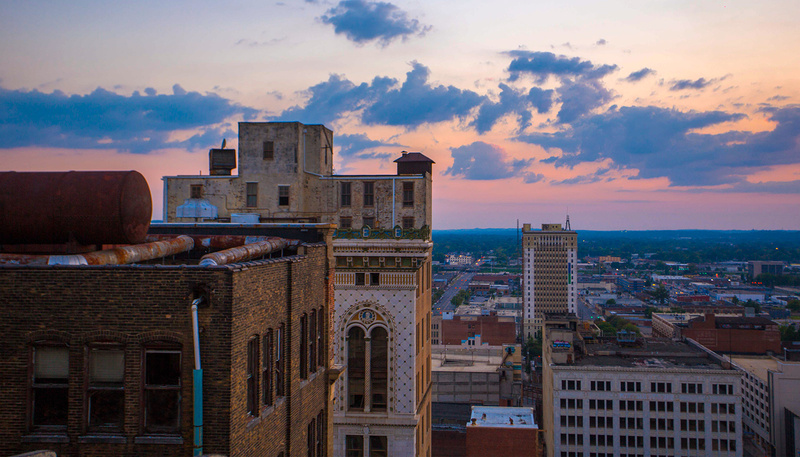 Birmingham has long featured some trappings of a thriving city scene–culinary and cultural resources among them–but less glamorous resources have often lagged behind. Besides the many mixed-use projects opening this year and next, we’re witnessing complementary features that make full city living possible. Besides entertainment and green spaces, we’re seeing transit options like Uber and Zyp, and we can nearly boast of a downtown Publix. From style to convenience, there’s really never been a better time to #liveinBham. If you’re ready to make the move, contact us today.